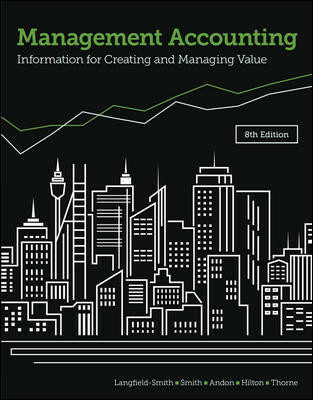 The eighth edition of the market-leading Management Accounting text continues to be an excellent resource for students, guiding them in building solid foundations in management accounting by linking theory to real-world application. This edition has been revised and updated to incorporate real life case studies with an increasing focus on businesses across the Asia—Pacific region. In addition, brand new and revised end-of-chapter activities provide students with the opportunity to apply what they are learning to real-world scenarios. Management Accounting combines authoritative, peer-reviewed content with cutting edge technology and a strong pedagogical framework to provide a closely integrated digital learning solution.